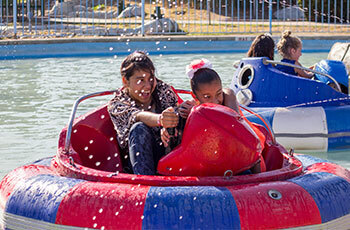 Get ready to be splashed when Bumper Boats are afloat! 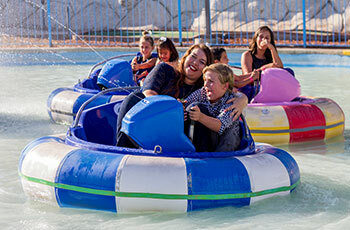 Drivers climb aboard these electric boats and begin splashing, colliding and squirting the other boaters, having a blast! Height and weight requirement: Must be 44 inches or taller to operate the boat, and 40 inches or taller to ride as a passenger. Max 275 lbs per boat.